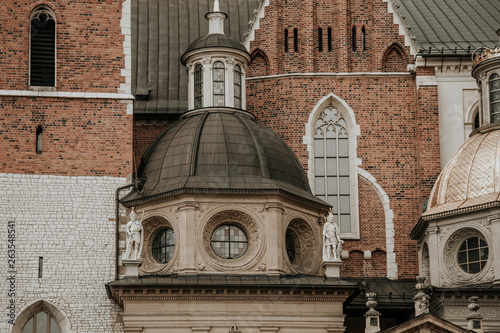 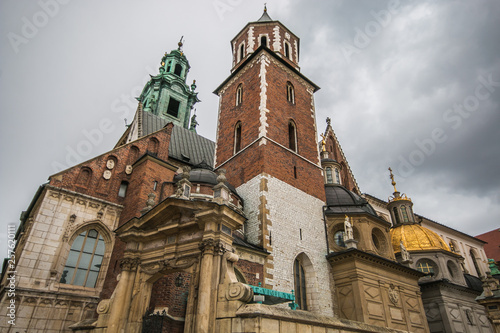 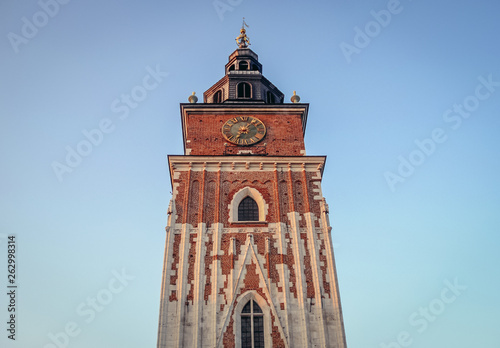 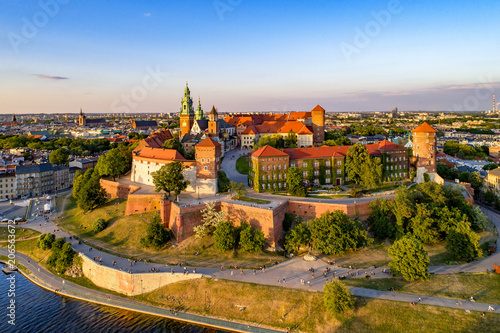 Wawel Castle in Krakow, Poland. 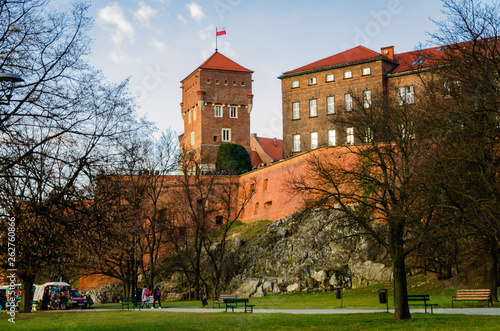 Krakow Wawel Castle at sunset at the end of February, calm warm pleasant weather. 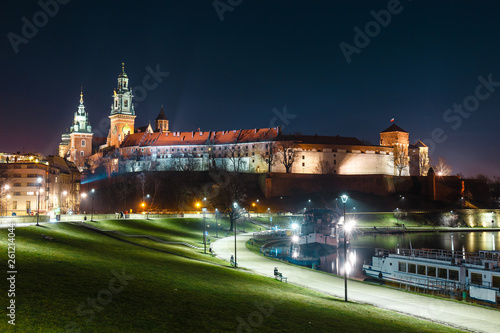 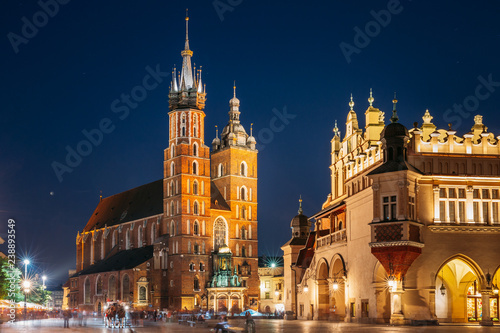 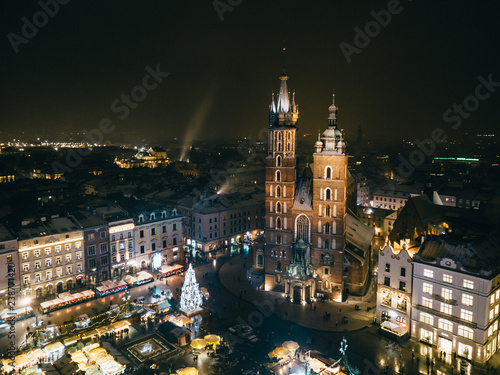 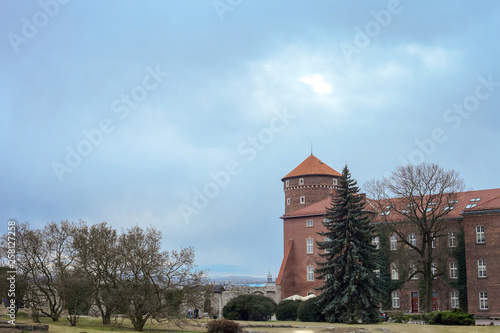 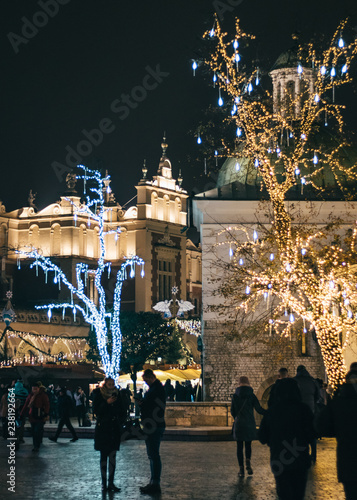 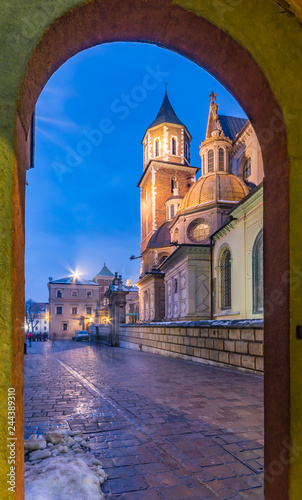 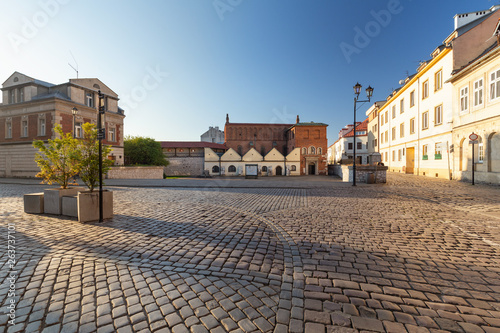 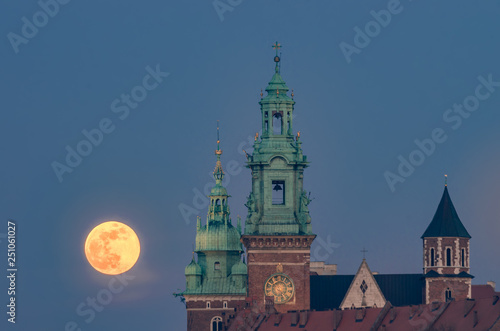 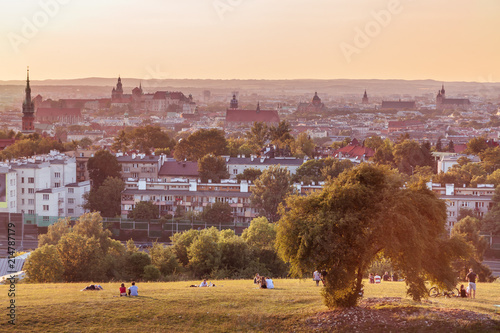 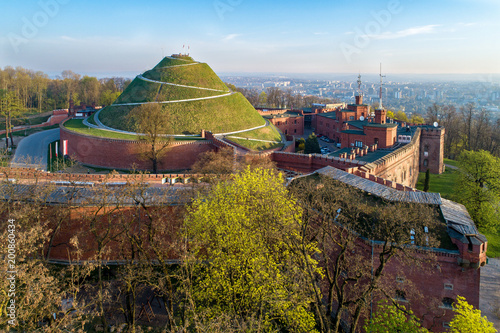 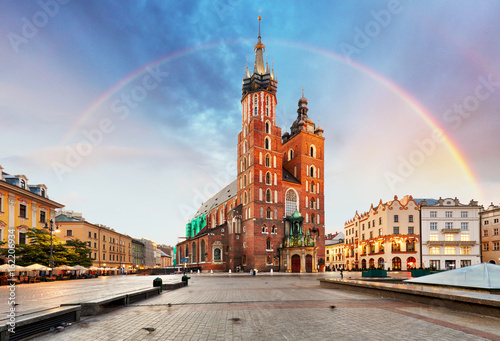 Wawel Hill with Wawel Royal Castle and Wawel Cathedral in Krakow, Poland. 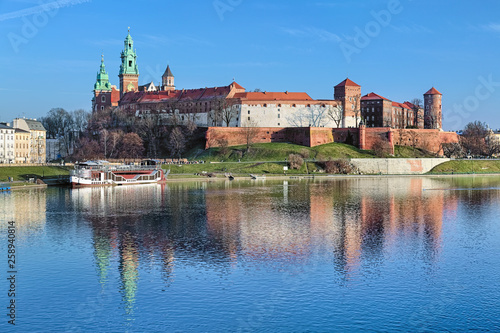 View from Debnicki bridge across Vistula river. 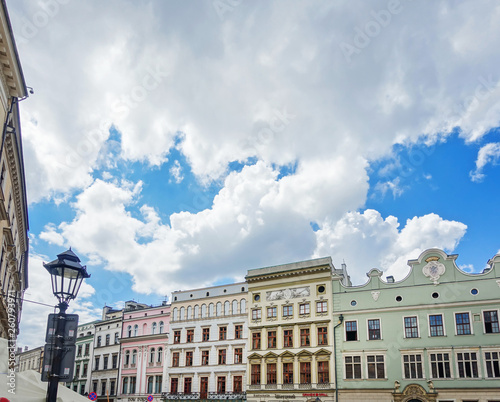 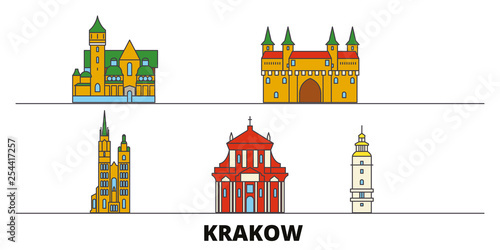 Poland, Krakow flat landmarks vector illustration. 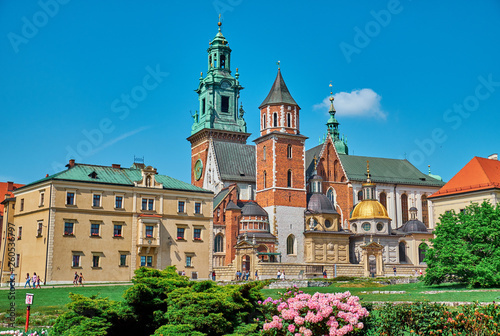 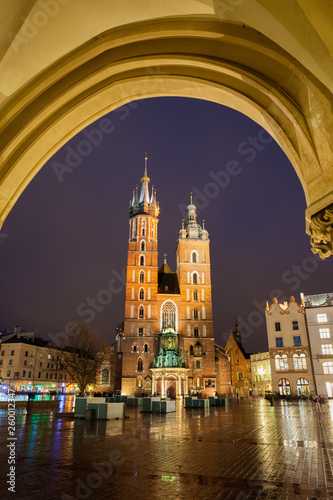 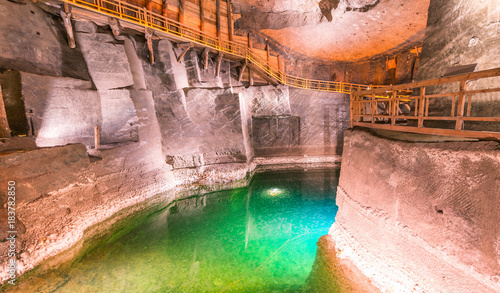 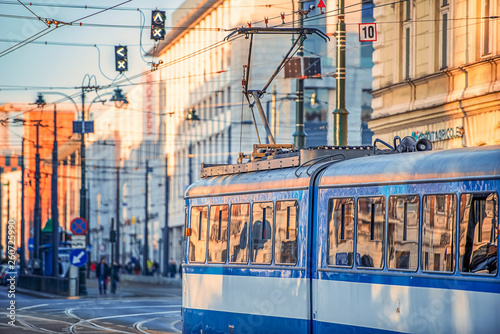 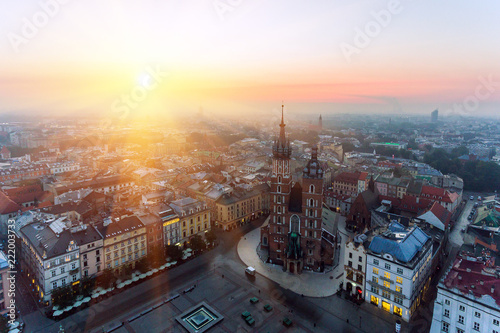 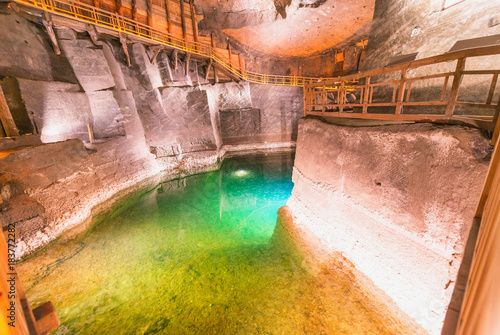 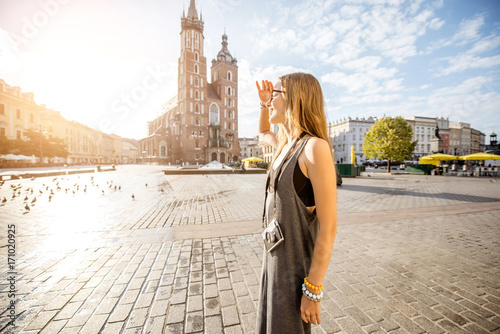 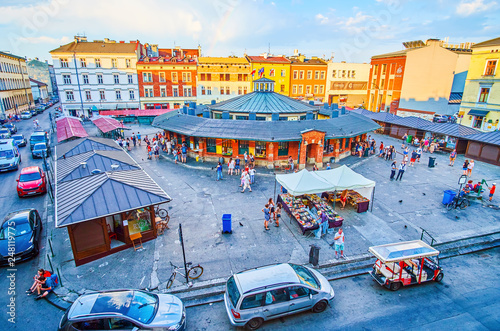 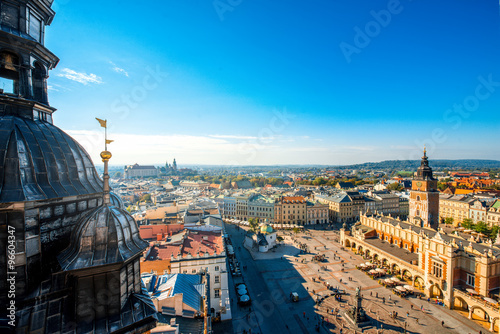 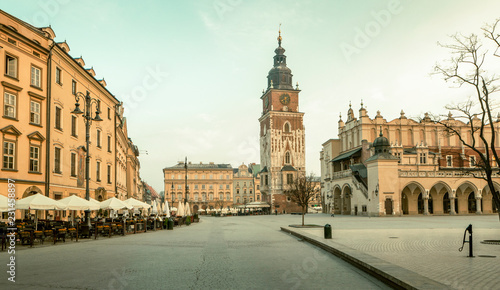 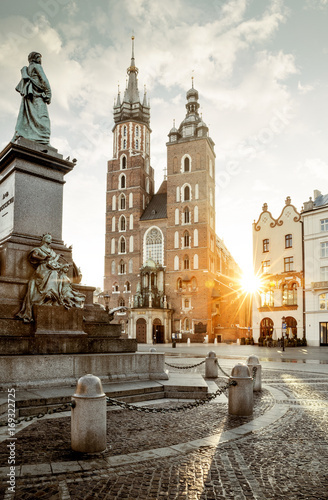 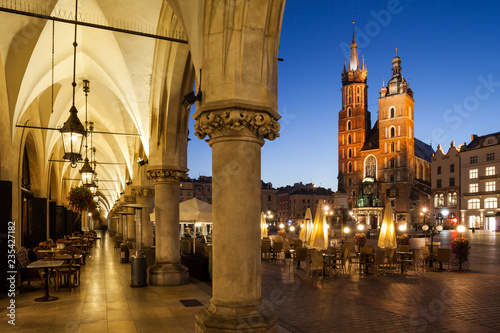 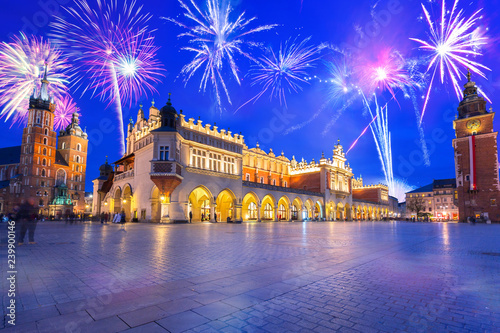 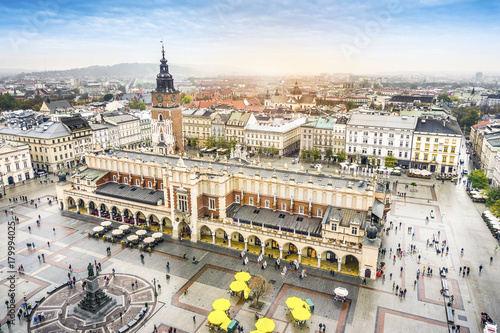 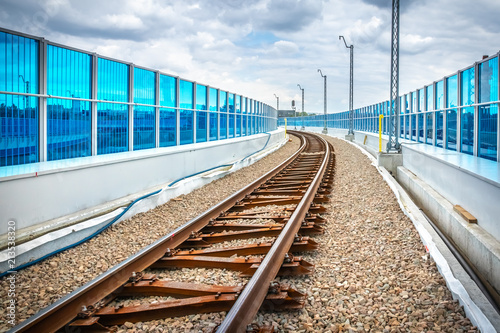 Poland, Krakow line city with famous travel sights, design skyline. 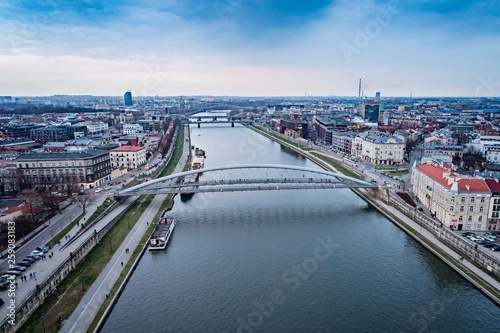 Aerial drone view on bridge over Vistula river in Cracow.